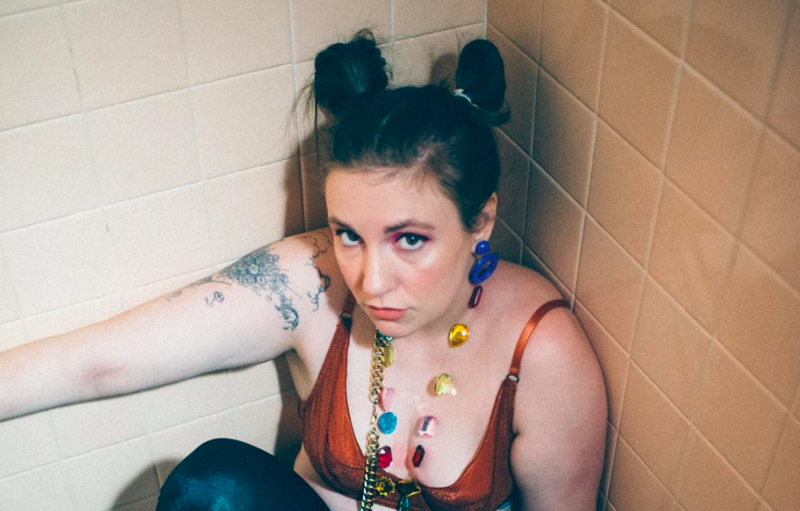 Lena Dunham is modeling for real, and for the realest reason, and we love it. She designed some custom sneaks for Lakai and ALL of her proceeds benefit Young Women Empowered, an organization that promotes creative education for teenage girls. GIRLS. EDUCATION. CREATION. LOVE LOVE LOVE. In Lena’s newsletter LENNY, she states why she was so excited to venture into shoes. I have many great passions in this life, but two stand out. The first is the creative empowerment of young women. The second is shoes, so when Lakai Limited Footwear approached me about designing a custom sneaker, I knew exactly how to bring my two obsessions together: by using this shoe to celebrate bright and courageous girls all over the country. The rad kicks, illustrated by her friend Joana Avillez, are available to buy on Zappos or Zumiez. We want to buy a pair simply so that we can take a bunch of shower selfies in them, while partially clothed. Oh, and so that we can support this awesome cause, too, obvs. Being surrounded by smart, fascinating women is OUR thing, too! Fun from far away and super complex up close. Like us! Pose your faces off, girls! Lena once said she was done posing for magazines, but we’re so glad to see that she’ll pose for a good cause.